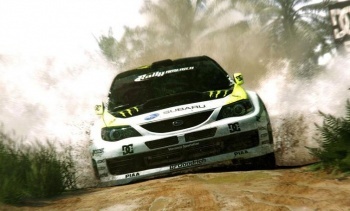 As many as three million Dirt 3 promotional codes for Steam that were left unprotected on a Codemasters server have been leaked to the internet. Codemasters and AMD have a pretty solid promotional program on the go: buy a Radeon video card, get a code for a free copy of Dirt 3 on Steam. Nice and easy, and while rallying games aren't everybody's cup of tea, Dirt 3 brought home some very positive critical reception, making it a nice little giveaway. But programs like these are not without risks, at least not when you leave all your promo codes sitting out in the open on a webserver, which is exactly what Codemasters did. What the internet did in response will surely come as no surprise to anyone: it took them down and passed them around, effectively providing a free copy of the game to anyone who wants one. There is some question as to just how many codes were lost. It was thought at first that up to three million codes had been leaked, but Kotaku got its hands on the "master list" that leaked out the tubes and found that it contained "only" 250,000 codes. A reader later claimed that numerous lists had leaked and that he'd seen eight of them so far, adding up to 1.7 million codes, so the original report of three million doesn't seem entirely unreasonable. Fortunately, or perhaps not depending on your perspective, it should be a relatively simple matter for either Codemasters or Valve to kill the leaked codes and lower the boom on anyone who's using one. Codemasters said it's trying to block unauthorized access to the game, although how that's coming or how long it will take to drop the hammer on all involved isn't clear at this point. Navigate as you see fit but consider yourself warned: this is one free game that might be more hassle than it's worth.